In Soviet Russia, Catalyst Reacts You! No I’m not dead! 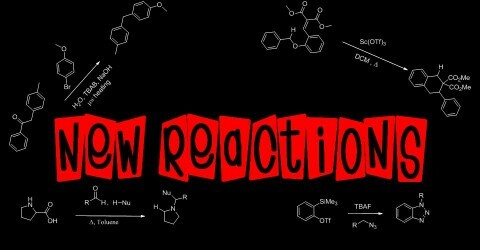 Sorry it’s been so long since my last post but I have finally returned to New Reactions after a very very busy 4 weeks. But what a 4 weeks it’s been. So a quick update on the happenings in the Leadbeater lab starting with some bad news. We unfortunately did not get our flow paper into Organic Letters and have subsequently resubmitted to a more appropriate journal, Org. Proc. Res. Dev. where we believe it should get in. But really, that’s about it in terms of bad news. DiAndra and myself continue to make progress with the project we are working on (and its allowed me to get into all sorts of chemistry from making benzofuran to bromination of thiophenes). I’ve never worked with heterocycles as much as I have recent and I have greatly enjoyed it. We are a little behind where I would hope we would be but the reactions are progressing quite well and based on some recent findings, I think this one might be better suited in Organic Letters! As for other projects, we are in the midst of substrate screen for our collaboration with Dr. Tilley and it has been extremely successful! We hope to have that out by the middle of this year. I really am very excited to get that work out and a few other projects we have been working on that are near completion. Last week was the start of the semester for UConn students meaning the the course that Mike is TAing (Adv. Org. Chem. Lab) has begun. I assisted him in preparing some of the labs as well as giving a joint lecture yesterday on ChemDraw. I think the students will really enjoy the reactions we have in store for them this semester (a RCM, a Sonogashira, Suzuki, Click, and Paal-Knorr to name a few)! I’m also giving a seminar next month on some of the work I’ve done thus far at UConn. I’m also looking into going to the ACS meeting in Philly in the fall to present there as well (hopefully with a bit more accomplished :P). I do find it weird sometimes that I used to be so scared of public speaking but now I really enjoy it. I actually look forward to talks. I still get nervous right before the talk of course, but as soon as I get past that first slide, things just slip into autopilot. Plus I genuinely love just talking chemistry! And with that, let’s get to it. Copper-Catalyzed Oxidative Trifluoromethylation of Terminal Alkynes and Aryl Boronic Acids Using (Trifluoromethyl)trimethylsilane: Describes a relatively effective way to synthesize trifluoromethylated alkynes and arenes. It’s an extension of some of the work done earlier by the Qing group which improves on yields by using a syringe pump and expands their reaction to include boronic acids as substrates. Electron Transfer Reduction of Carboxylic Acids Using SmI2- H2O- Et3N: describes a general procedure for converting carboxylic acids directly to primarily alcohols in one step. 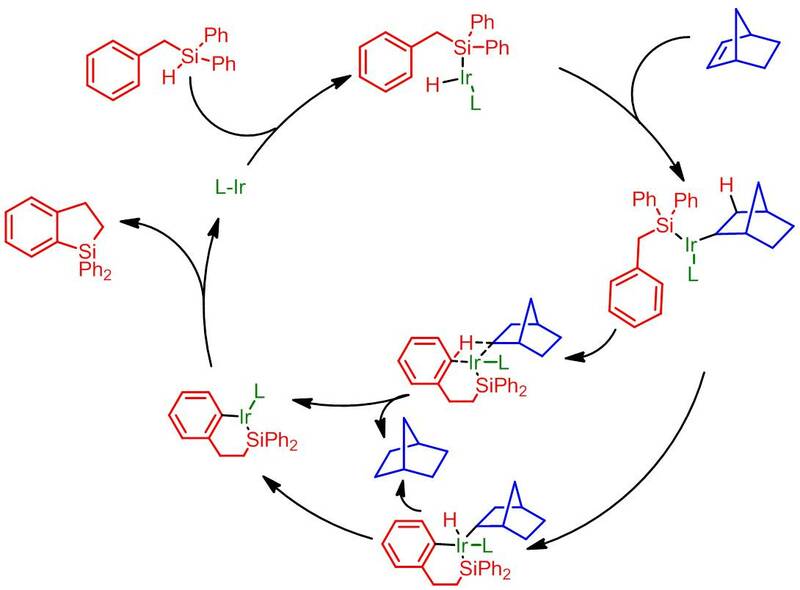 I found this to be a very practical, easy approach to avoid using LiAlH4 or boron-based reductants and features a cool mechanism. Fragmentation of β-Hydroxy Hydroperoxides: describes an investigation into the role of vitamins and transition metals (specifically Vitamin E and C in the presence of iron) in the oxidative cleavage of unsaturated fatty acids. While not really synthetically useful, it was a very well done investigation and gave plenty of mechanistic insight. o-Iodoxybenzoic Acid, and Dimethyl Sulfoxide: describes a convenient and very effective way to make highly reactive ketoaldehydes in situ and trap them as quinoxalines. What I like about this is the shear number of examples done by the authors and the potentially variable approach that can be used by simply switching the phenylene diamine or varying the starting aldehyde. Efficient Palladium-Catalyzed Cross-Coupling of Highly Acidic Substrates, Nitroacetates: an article by the Koziowski group at UPenn which describes a very interesting coupling reaction between highly acidic nitroacetates with various aryl bromides. The article was great and I especially loved the colorful three dimensional graphs! This week’s article comes from, you guessed it, Org. Lett. Its by a Dr. Vladimir Gevorgyan at the University of Illinois at Chicago, whose work I have been following for some time (this being the second article of his I will be featuring). Gevorgyan does chemistry that is near and dear to me, namely small ring synthesis, organosilyl work, C-H bond functionalization, and heterocycle synthesis. He’s sort of a jack of all trades when it comes to his chemistry, but he publishes very good work (in only the top named journals). In this new article, he focuses on a new (or arguably a very recently discovered) class of organosilyl compounds: dihydrobenzosiloles. Prior to the release of this article, no effective synthetic method was available to access these compounds. One example was given by Hartwig in a 2005 paper, but synthesis of these compounds was not the main focus (hence the article gives only one example under very harsh conditions). Dibenzosiloles and biarylbenzosiloles are far better known in the literature. Seeking a route to these compounds, Gevorgyan decided to use a two-stage approach to their synthesis. The first step with be β-hydrosilylation of a styrene derivative using diphenylsilane as their hydrosilylation source. That would give the desired phenethyldiphenylsilane compound. With that in hand, a dehydrogenative cyclization could then be used to obtain the elusive dihydrobenzosilole. However, like most things in chemistry, nothing is as easy in practice as it is in theory. Their first step was, simply put, known put somewhat impractical. Hydrosilylation of stryenes using diphenylsilane was known using some late transition metals (gold, rhodium etc.) but none were inexpensive and easy. Hydrosilylation of simple olefins was known using much more affordable nickel based catalysts but it was unknown whether these systems were compatible with stryenes. So rather than finding a new route, Gevorgyan explored some nickel catalysts to mediate the desired hydrosilylation. He ultimately found that NiBr2(PPh3)2 worked best after screen a plethora of nickel catalyst. With the hydrosilylation problem addressed, Gevorgyan turned to the cyclization step. Using a bit of inspiration from some previous findings he was able to use a general method for silylating aromatics to induce his cyclization. Better yet, he found this two step process could be conducted in a single flask in excellent overall yield! After screening a variety of styrene derivatives, he found that only meta styrene substrates proved problematic. They lead to regiochemical isomers (whose ratio was influenced by sterics). m-fluorostyrene was the worst offender of this giving a 2:1 regiochemical ratio. Gevorgyan then investigated α-phenyl and α-methyl stryenes to see if the alkene substitution patterned played any role and in fact it did. These substrates were far more difficult to hydrosilylate and hence the addition of a LA catalyst was necessary. By adding B(C6F5)3, 3-methylbenzosilole and 3-phenyldehydrobenzosilole could successfully be accessed. Finally all good methods papers end with an application. Gevorgyan used his dihydrobenzosiloles to not only synthesize benzosiloles by DDQ oxidation but also to access dihydrobenzofuran derivatives by peroxide oxidation of the silyl moiety followed by Mitsunobu-mediated cyclization. 2011 No More! New Blog!